Fitting. I just returned from a trip to San Francisco last week. The Potrero Hill set is a nod to the city - with hilly roads, a few of which zig zag like crazy! 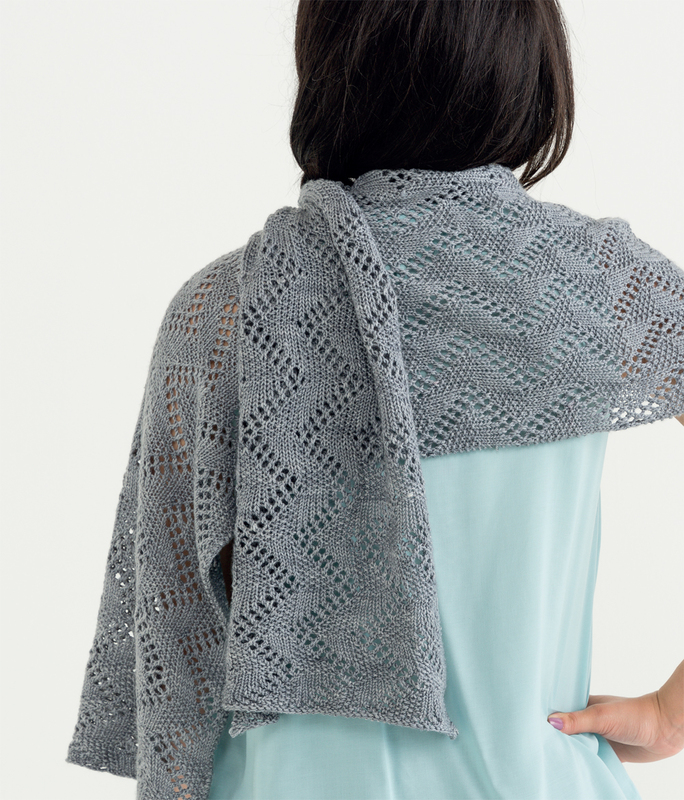 The patterns in this set all feature a seed stitch and lace pattern. A fun and addicting combination. First up is the stole. Like many of the patterns in the book, this piece is simple to adjust in size. Make is a scarf, get creative and make it super wide and then seam it up like a poncho - there's lots of possibilities! 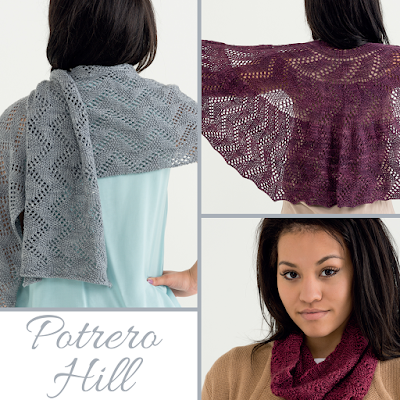 The Potrero Hill cowl is the quick and easy project in this set. 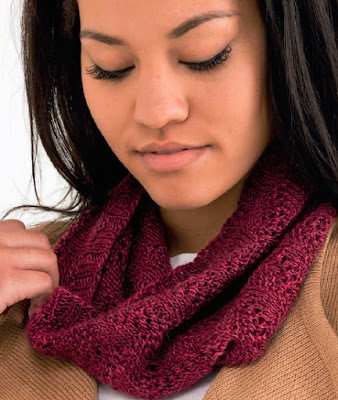 You'll only need about a half a skein of sock yarn to get this one done! Finally, there's the shawl. I couldn't do a book without a half-pi shawl. I love them, you love them, we all love them! 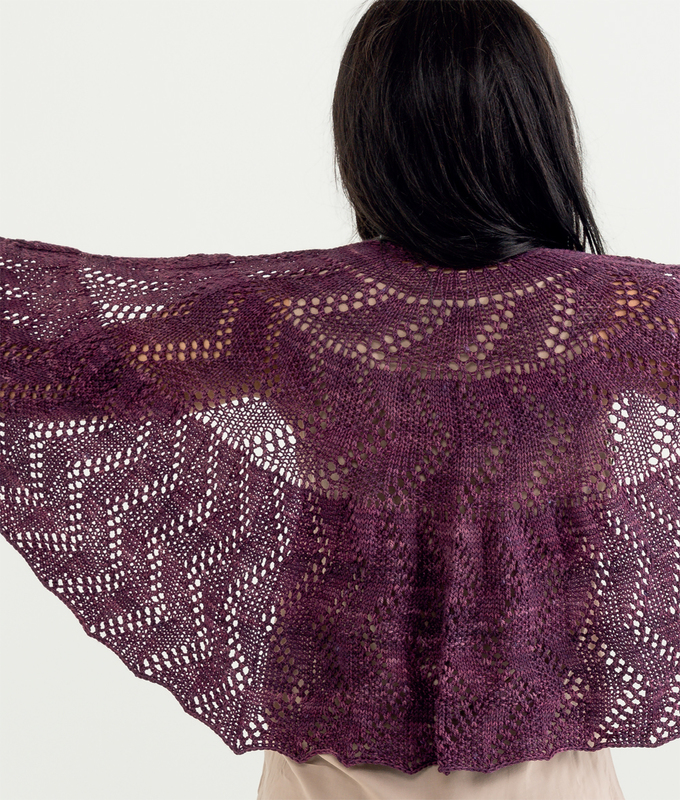 I'm tickled by the way the zig zag of the lace flows from each section of this shawl!